One of the joys of being an author is having the privilege to work with some of the most talented people in the world. Nicole Deese is one of those people. She is witty and charming, and her new Novel, a Cliché Christmas has taken the publishing world by storm. I wanted you to meet her and get a little more acquainted. Then go buy the book! Here is my interview with Nicole. 1. Nicole, what made you choose to become a writer? I honestly feel that writing chose me. I’ve been a storyteller since I was a toddler, but I fell in love with reading the summer of sixth grade. Timing and dreaming can make destiny a reality. And for me, my destiny in writing began at the age of thirty. 2. What is unique to your writing style? I aim for both humor and heart in every scene I write. 3. What inspired you to write A Cliché Christmas? I grew up in Oregon, and it’s still the place I consider my home. I knew in writing a Christmas novella that I needed to create a comforting town that could feel like home to my readers, too. Once I had the town in pictured in my mind, the story developed fairly easily from there. I adore second-chance love stories, especially when there are eccentric grandmas, crazy neighbors, and surprise snowstorms involved. 4. What’s one of your favorite books to read of all time? Who is your favorite author, and why? My favorite author is Tahereh Mafi. She’s a Young Adult author who makes every single word count. Her emotional prose and lyrical style speak to my heart in a way no other writing does. I could read through a phone book if Tahereh Mafi wrote it. 5. Is A Cliché Christmas your first Novel? Is this the first in a series, or will the next novel be unrelated to your present characters? 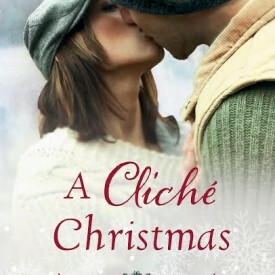 No, A Cliché Christmas is actually my fourth published novel. But I do plan to continue this Christmas series. Look for another Love in Lenox book in the fall of 2015. 6. Who is your audience for A Cliché Christmas? In other words, who is going to love it? Anyone who loves the Hallmark channel at Christmastime, and those who enjoy a sweet romance centered on holiday nostalgia and second-chance love. 7. What is your greatest challenge in writing? I know that seems like the most obvious answer in the world, but it’s the truth for me. With all the distractions in life and the lure of social media, my biggest challenge is tuning out the world long enough to simply write. 8. I find your story engaging and your characters irresistible. How do you make your readers care so much about what’s on the next page? Worry. If an author can create enough connection with their reader in the first few pages (or better yet, the first few paragraphs) to worry about them, that reader will keep turning pages. Granted, this is a lot harder in practice than it is in principle, but a reader who claims a book is “unputdownable” is one of the highest compliments an author can be paid. For more information, check these out. 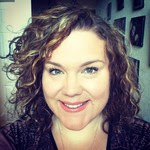 I highly recommend Nicole’s work.